The Buckminster Fuller Challenge program has been highlighting and celebrating exceptional examples of “whole systems” design across many sectors for the past 10 years. Launched in 2007, the program has been widely regarded as "socially-responsible design’s highest award". “LifeArk has presented an innovative way to address the needs of our most vulnerable populations. They understand we do not have a homeless problem; we have a housing problem. Their innovative way to address the high cost of housing is a game changer for years to come." LifeArk exists to create safe, sustainable and affordable homes for people living in low-income, marginalized communities around the world. The daily life of one family dedicated to the indigenous people along the Amazon river of Santa Rosa Island was the catalyst for LifeArk. 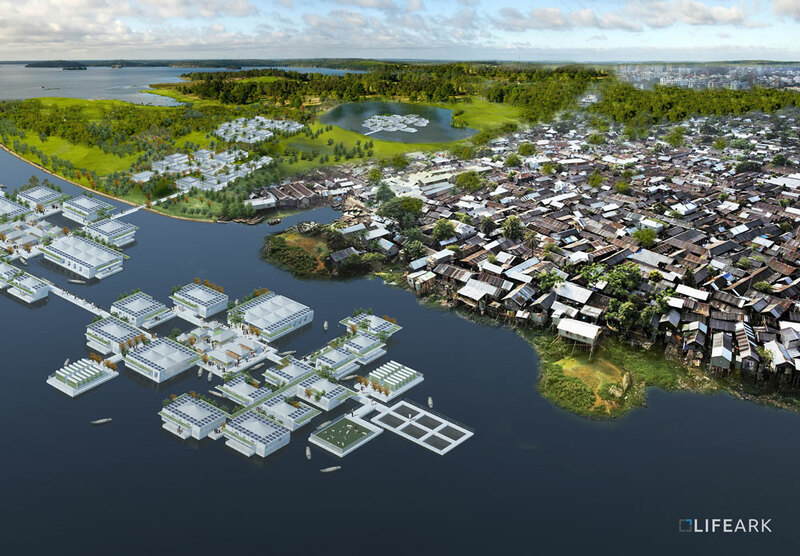 With houses built on stilts, here was a community spending eight months of the year battling flooding (with water levels fluctuating up to 8 meters)—trapped in a cycle of poverty generation after generation. As architects we sought to solve this fundamental problem through good design—a process through which we realized there was a global crisis.